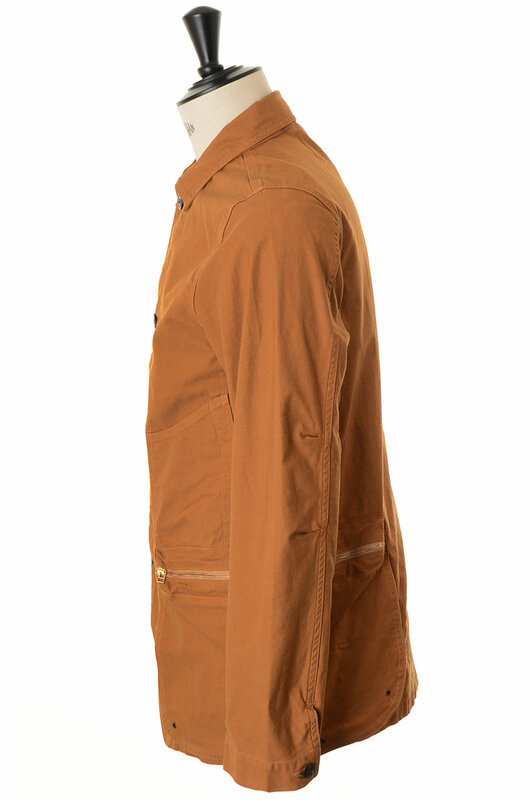 Ochre is a constant in the workwear palette. It’s a natural clay pigment. When people describe ochre, you often hear stuff like, “burnt orange”, or “yellowy orange”, or “browny, yellowy, orangey.” All of which take longer to say than ochre, which on close examination is just one word. 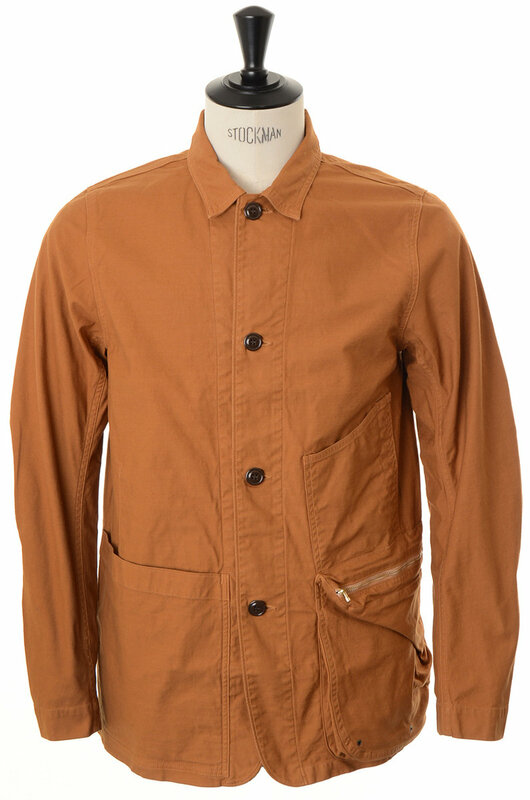 Whatever you call it, it is the colour of this jacket. Which perhaps more interestingly is from Japanese creators Spellbound, a new brand over at Kafka. The guys over at Son of Stag have been stocking Spellbound for time and indeed the brand itself dates back to 1981. Part of the Domingo company, Spellbound is the third oldest denim manufacturer in Japan so they know a thing of two about offering sturdy, no nonsense practical-wear. 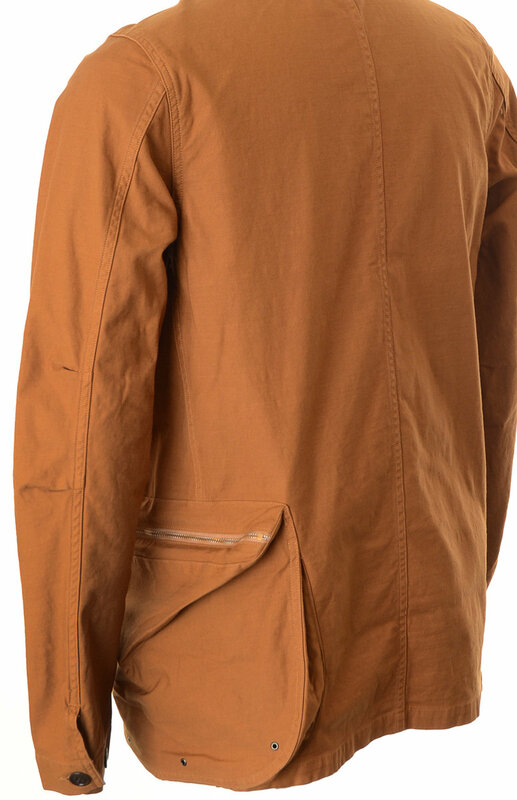 This is The Bugs jacket, a revision of a classic American chore coat. And as is usual with such pieces, it’s all about pocketing. For me, it’s the front to back zip thing that takes this over the edge. You could easily get a Simply Food Mexican Three Bean Wrap and a small pot of mini sausages in there and still retain your dignity. For some, chore jackets might feel a little played out. And I get that. 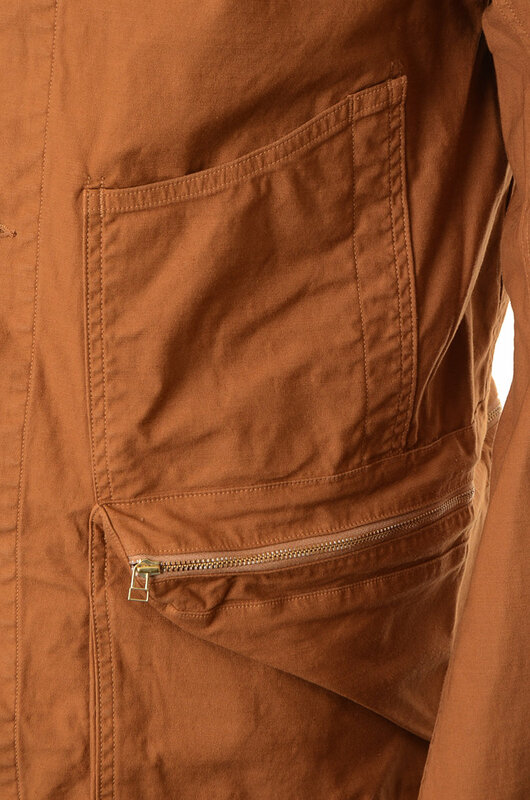 But I think taking things in an ochre toned direction, teamed with such a imperious use of zippery, is enough to keep things fresh. As fresh as a selection of convenience party food.